Newcomer Family Obituaries - Lindsey C. Pepion 1984 - 2019 - Newcomer Cremations, Funerals & Receptions. Lindsey C. Pepion, 34 of Denver, passed way Wednesday 4/10/2019. She was born to Gaylene C. Pepion and Joseph R. Wendelin, September 17, 1984 in Denver, Colorado. 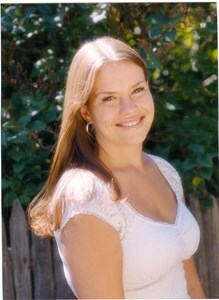 Lindsey was a beloved daughter, granddaughter, sister, niece, cousin & friend. She enjoyed listening to music, traveling, & going to car shows with her dad. Lindsey was beautiful, funny, outgoing, & loved to laugh. We will always remember her caring personality, the love she had for her family, & and her love for all animals. When you think of Lindsey, celebrate the good memories you have of her & always remember that life is fragile and short & should be lived to the fullest. Lindsey is preceded in death by her mother Gaylene Pepion, & survived by her father Joe Wendelin, sister Kimberly Hinojosa & brother in-law Felix Hinojosa, nephews Dallas & Tommy. She is also survived by her Aunt Sue & Uncle Gil Medina, cousins Kim & Michelle Medina, Uncle Frank & Pam Wendelin, cousins Cindi, Bobby & Zane Lindsey, Aunt Tina & Uncle Steve Usick, cousin Elly, as well as Aunt Carolyn Doran & John Williams, cousins Cristian & Wesley, & many other cousins & family members that loved her dearly. A viewing and reception will be held at Newcomer Funeral Home on Saturday 4/20/19 from 12:30-4:00 p.m.
Add your memories to the guest book of Lindsey Pepion. Lindsey and I have been friends over twenty years she was a old soul. Always had a great smile and great positive personality. She will always be remembered. I love you Lindsey see you when I get there. To Lindsey family so sorry for your lose ?? I'll be there sat. When my dog, Puma, had eye surgery, Lindsey stayed with me, sitting on the living room floor, caring for him all night. I will never forget her desire to help everyone, human and animals alike. One of the smartest, most loving and beautiful women I have met. The world is smaller without her heart. God's peace, sweet girl. Your mother, Pep and Steve are there for you. I was with you when you were born Lindsey, I'll miss your beautiful smile and laugh and your gentle spirit. You're now with your mama who loved you more than anything.